Bad birders, rejoice: Your efforts have not gone unnoticed. 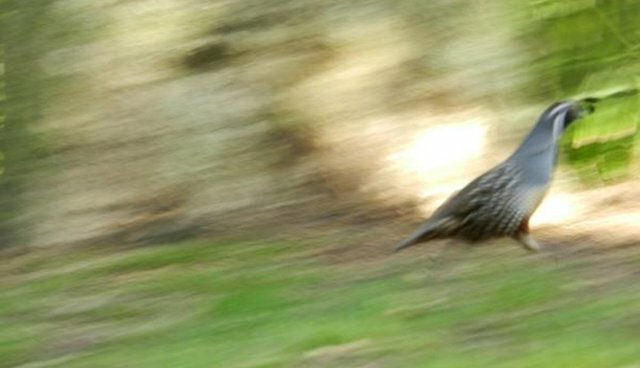 The best internet trend of 2015 so far has arrived - and it's a series of blurry photos and half-photos of what looks like, or could possibly be (maybe), some type of bird. An actually-good birder, @AmOrnithologist, then responded using a hashtag that will go down in the annals of birding history. Quickly realizing the ingenuity of the hashtag, the brilliant folks over at the Audubon Society's California office kicked off the contest. But you don't have to be a birder to take a bad photo. The Dodo is holding its own contest, and all amateur photographers (or non-photographers) are welcome. We're looking for your best (i.e., worst) photos of animals enjoying themselves in the wild. Tweet us your #AnimalsOutOfFocus and you may be featured in a post on our site. Bring on the bad.